Located at the southern tip of the Baja Peninsula, Los Cabos was once a sleepy fishing village, that is now transformed into Mexico’s most elite & sought after resort destination. The area is comprised of two towns: Cabo San Lucas and San Jose del Cabo. These towns are linked by a 20-mile scenic Tourist Corridor lined with pristine beaches, luxury resorts, and beautiful vacation villa rentals. Here, travelers from all corners of the world enjoy the diversity of thrilling activities. Adventures include scuba diving, deep-sea fishing, whale watching, world-class golf, exceptional fine dining, tranquil spa treatments, and active nightlife. However, if you just feel like relaxing and spending a day on the beach or by the pool, Los Cabos is the perfect place for that too. As clients of LIFESTYLE Villas, you benefit from preferential access to activities. This includes tee times, hard-to-get reservations in Los Cabos’ most sought after restaurants, as well as access to the finest spas in the area’s famous luxury resorts. Our Destination Specialists are Los Cabos experts and are here to assist you in creating your itinerary with trusted third party suppliers that have been approved and constantly monitored by LIFESTYLE Villas (Mexico’s most trusted Lifestyle Concierge Company). 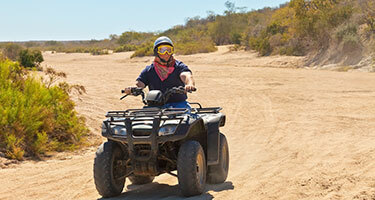 When planning your unforgettable Los Cabos Mexico vacation, you’ll find a wide variety of sports and activities on land, water and in the air. In fact, there are so many; it will be difficult to decide! LIFESTYLE Villas has offered the most fun, creative, and safe activities in Los Cabos for many years, and we will be happy to create an exciting and fun itinerary for your next visit. 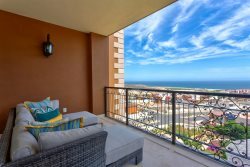 As clients of LIFESTYLE Villas you will have preferential access to all the best Los Cabos activities, including : tee times, hard to get reservations in Los Cabos’ most sought after restaurants & access to the finest spas in the area’s famous luxury resorts. Your LIFESTYLE Specialists are local experts and are here to assist you in creating your itinerary with trusted third party suppliers that have been approved and are constantly monitored by the LIFESTYLE Team. We do not mark up any activities, so you are sure to get the best possible rates plus the added security and confidence that you are dealing with reputable vendors. Our goal is simple: to ensure you have THE BEST Los Cabos Mexico vacation experience so you’ll return to Los Cabos year after year and stay with Lifestyle Villas! When booking through Lifestyle Villas you can rest assured that the activity you choose is fun and safe. We always recommend booking activities at least 72 hours in advance to ensure availability. Remember to bring sun block, a hat, camera & towel for all water activities. Enjoy the breathtaking views of the Sea of Cortez, the desert, and the natural beauty of Los Cabos from high above and live an unforgettable experience. 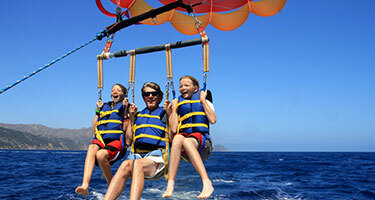 When booking through LIFESTYLE Villas you can rest assured that the activity you choose is fun and safe. Ask us about any of the following activities and we’ll setup your reservations with only the highest quality and most trusted providers.